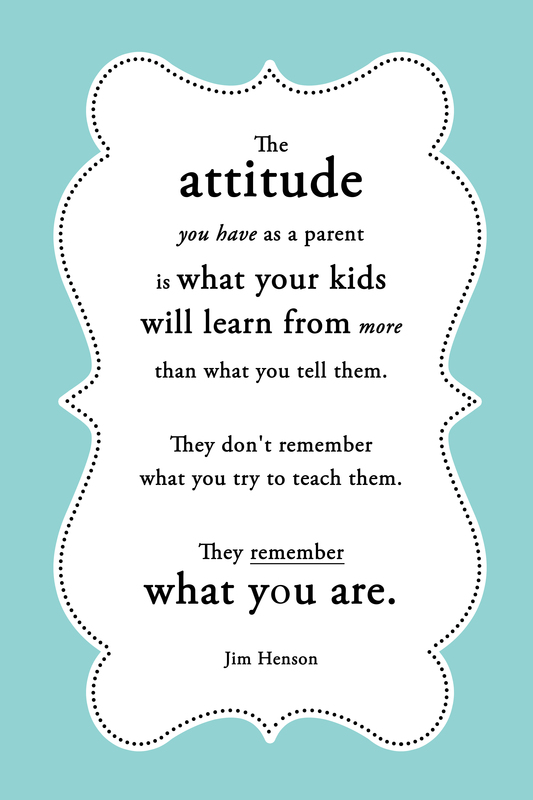 Free printable – print it as a 4×6 photo, pick up a magnetic frame, and hang it on your fridge! My bible study is having it’s last meeting tomorrow. We’ve read through the book, Am I Messing Up My Kids? by Lysa TerKeurst, the President of Proverbs 31 Ministries. The study is amazing, and I highly recommend the book. 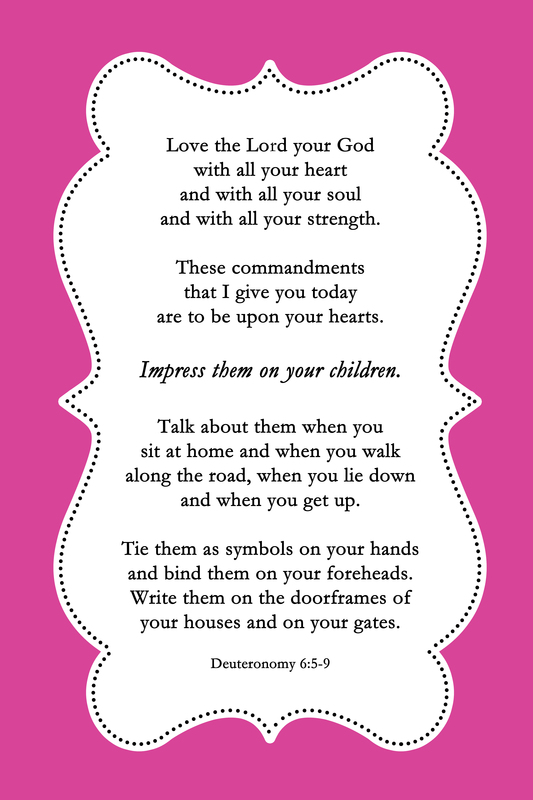 I have learned so much about how my relationship with God is what will determine my “success” as a mom. Even more so, I’m starting to grasp the fundamental truth that if my motherhood attitude does not absolutely reflect my love for Jesus, there is little hope that my faith will be passed on to my children. If my life does not look different than the world, how can I expect my kids to meet the reality of Jesus? To take hold of Him in their own lives?! Lysa says that “In the book Why Christian Kids Rebel, Tim Kimmel explains that the number one reason children walk away from the faith is that they never see it make a real difference in the lives of their parents.” Wow. How amazingly convicting. So what do you think? Is our faith making a real difference in our lives? Do we look different than the world? Is Jesus just a part of our lives or IS He our life? Jesus needs to be the center of every single thing we do. We need to read our Bibles, pray in ALL things, relate our everyday events back to Him, and most importantly let our attitudes be a reflection of His life. What would Jesus do? Ask it throughout the day, and when we feel that desire to succumb to the sin inside us, we have to humble ourselves, stop, and ask Jesus to take control of that moment. Our church sermon a couple weeks ago was about parenting, and we were asked to think of the person who most influenced our walk with Christ. Most of the time, the people who impact us the most are the ones who are walking the walk…people whose actions match their words, whose lives reflect the beliefs they profess. So the question is, who will be the most influential person in our kids lives? Will it be us or the world? During worship following our sermon, one of the men in our church came forward to bow in praise before His Lord, and shortly after, his teenage son came and sat next to him…put his hand on his dad’s shoulder, and worshiped with him. I wept uncontrollably. This is a family who is doing it right. A dad whose character and actions completely match his words. Because of the consistency in the lives of his parents, this boy has come to know the reality of Jesus in his life. This is the kind of parent I want to be. So that someday, if my kids are asked to recall who most influenced their walk with Christ, they might answer by saying their parents. This is my prayer…for my family, and for yours as well. Certainly we won’t always get it right, and our words won’t always match our actions. We aren’t perfect, and we will mess up, but when we do, we still have the opportunity to show our kids the reality of Jesus by humbly confessing our mistakes, and asking for their forgiveness. I’ll end with a quote by Lysa from our book, “I pray for the bad days to be erased and for the great days to be magnified. But most of all I pray that it is the reality of Jesus that becomes the bedrock of their souls.” Amen friends. Amen. 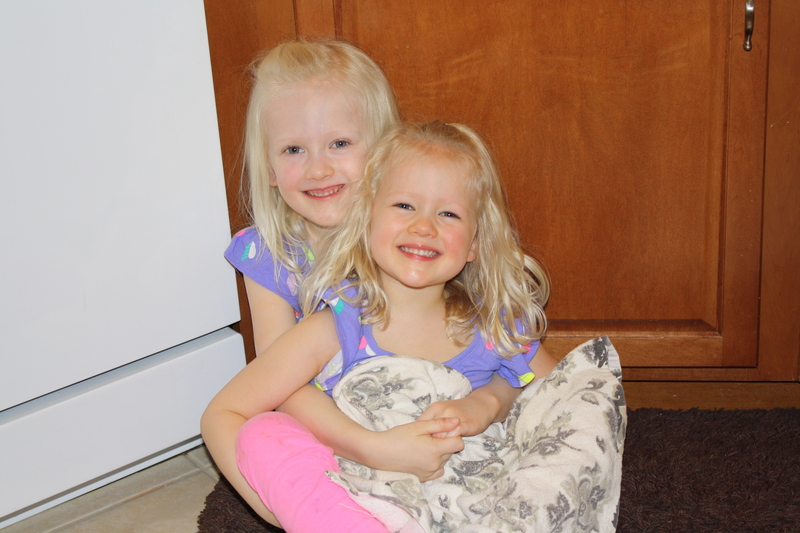 Cuddling each other…these are the moments that make it all worth the while. Prayer requests? Thoughts? Share them below!